My determination to use the turnip instead of the potato continues in my low carb kitchen. 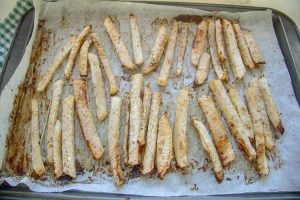 I made a batch of “fries” with turnips and was rather pleased with the results. 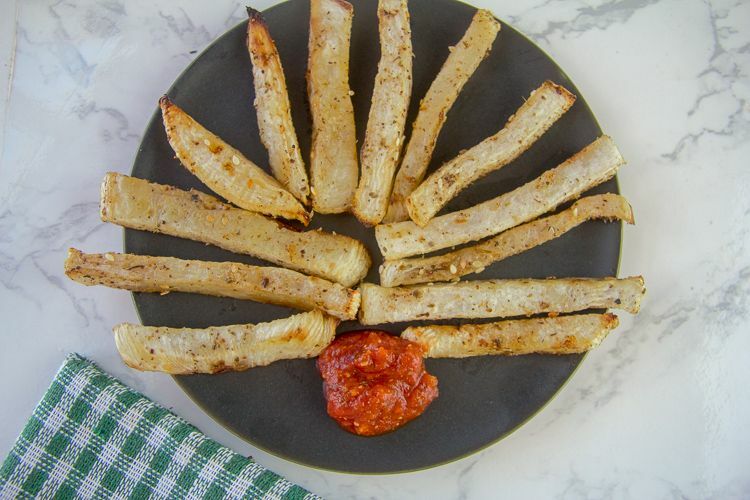 They are a much healthier alternative to the deep fried potato! 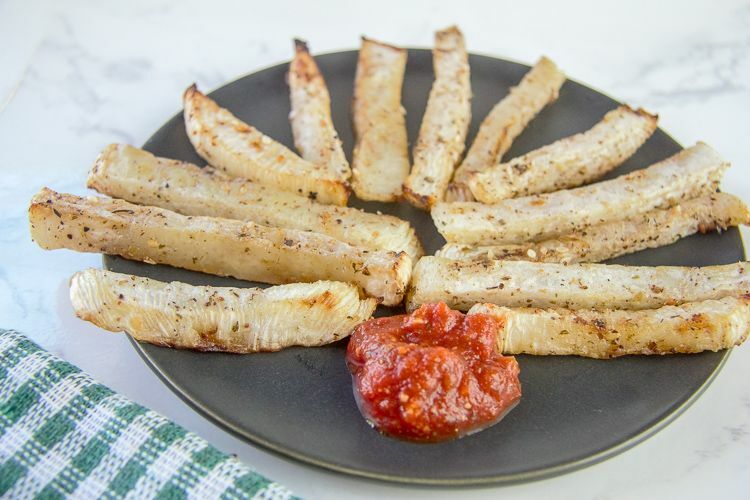 I have tried various seasonings with these turnip fries from chilli, garlic, cheese but the winner in our house is Zaatar. 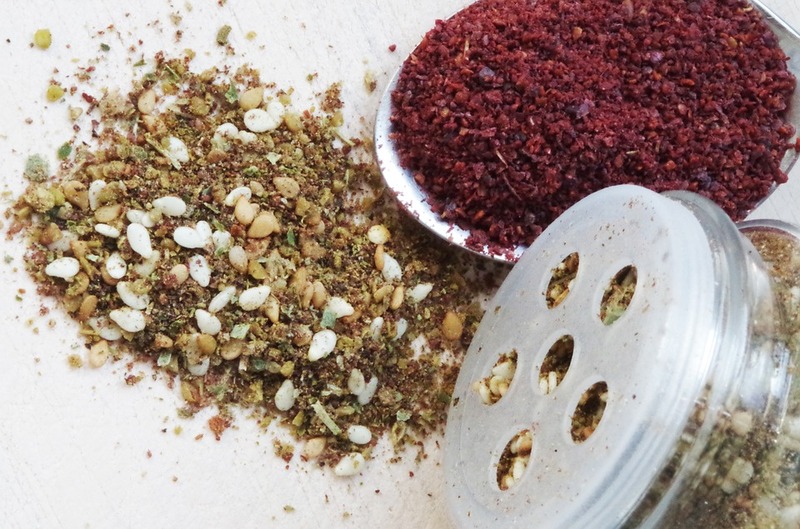 Zaatar is a spice mixture that I was introduced to when we lived in the Middle East. I was also lucky to enjoy a colleagues home made version which was more fragrant than my efforts! Although Zaatar is enjoyed all over the Middle East, it is heavily associated with Lebanon. It is to Lebanon what peanut butter is to the USA. It is mainly made withe dried thyme, sumac, salt and sesame seeds. 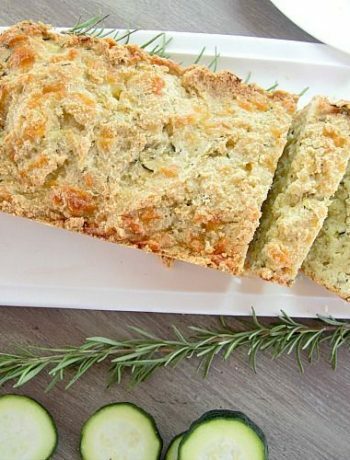 There are regional variations with cumin, coriander and fennel but this will depend upon your taste buds. 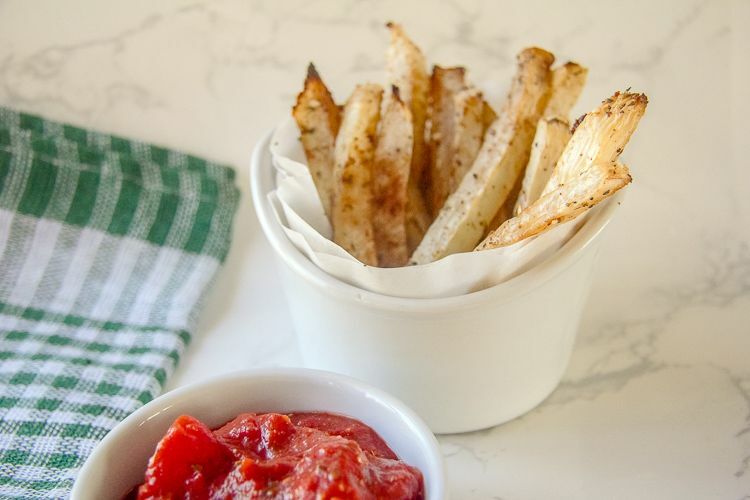 Turnip is a healthier choice for potato but does need a bit of help with the seasoning. By itself it can be an acquired taste. 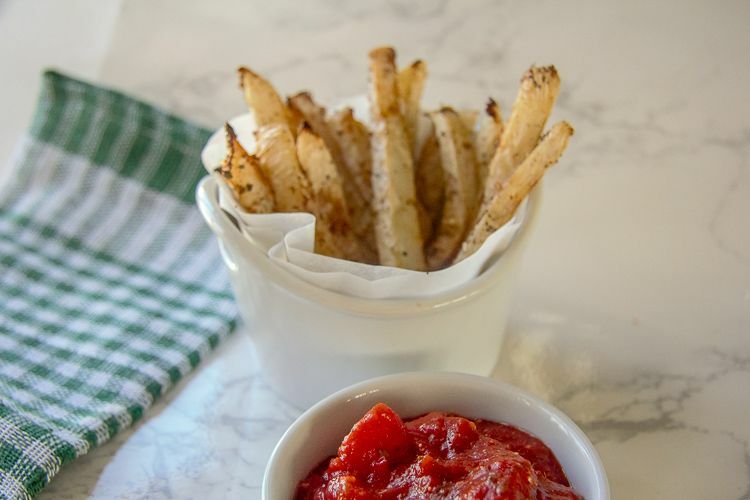 You could make two batches to test your taste buds. Make a tray of plain and a tray of spiced. 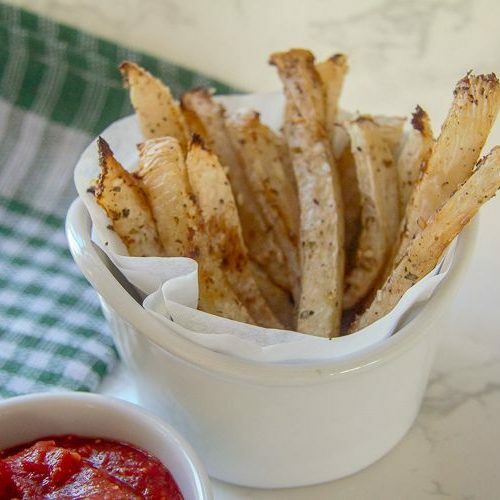 These turnip fries are baked and therefore will not be as crispy as a fast food potato fry but are a low carb option so give them a try. I found when baking them that they tended to be a big soggy and I recommend eating them immediately after baking. The Chief Taster scoffed the last batch with relish and they were heated up when he arrived home from work. 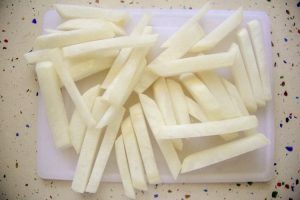 I used a large turnip which yielded about 35 thinly cut turnip fries. 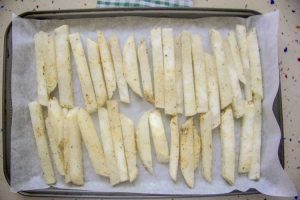 This made a decent length too but you might be able to fashion a few decent shaped fries from a smaller turnip. Mine was bigger than my fist! I guess it depend upon how large your hands are to ascertain the turnip size! Place into a bowl and toss with the oil and spices to coat. Ensure the turnips are coated well. leftover turnips like this work great as the basis of hash and eggs the next day…..I put them in a frying pan with peppers/onions/ whatever….cook it all together…fry eggs and put them on top !